The Tanoshiboy Chronicles: Design & Illustration Blog: Indiana Jones and the Creative Process: What Kind of Creative Are You? 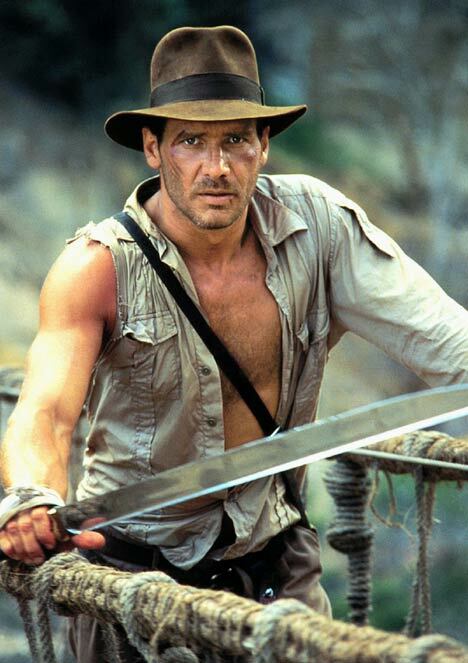 Indiana Jones and the Creative Process: What Kind of Creative Are You? There's two kinds of designers. Those that get told by the client what to do and those that advise the client what not to do. "We like high quality but as cheap as possible. Does that makes sense?" "My cousin has Photoshop on his computer so he might do this for me at no cost. He said it’ll only take him about 20 minutes to put this together. So you're a bit expensive after all." "I like that, but the logo needs to be bigger to get the maximum effect." "My favorite colors are green, purple and yellow. So you have to somehow make that work, because I must have those colors." "I'd like my website to look like facebook, but cooler. Can you do that?" Yes, these were actual requests I've gotten in the past. 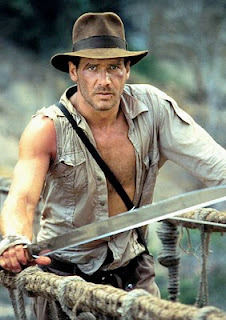 That changed when I became an Indiana Jones designer. Now, I answer those kinds of requests (which I get very few of these days) with a hearty "No". I guide and advise. After all, this work represents me and I don't want it to look like the client's cousin got his hands on a crack copy of Photoshop and spent 20 minutes on it. I hope this post didn't offend anyone. I know many designers that haven't gotten to the Indy level yet (Hell, it took me a few years), but they can and they will. They just need to see the value of what they have to offer and workout their confidence muscles. You see a change in the client's attitude towards you and the quality of clients you gain. "Do you want to kill your brand before it's even been born?" "Yeah, we can do that. Or we can do it the right way and impress your customers."